Since 1972, VidTroniX has been associated with the travel industry and has pioneered the thermal printing standard that is in place today. 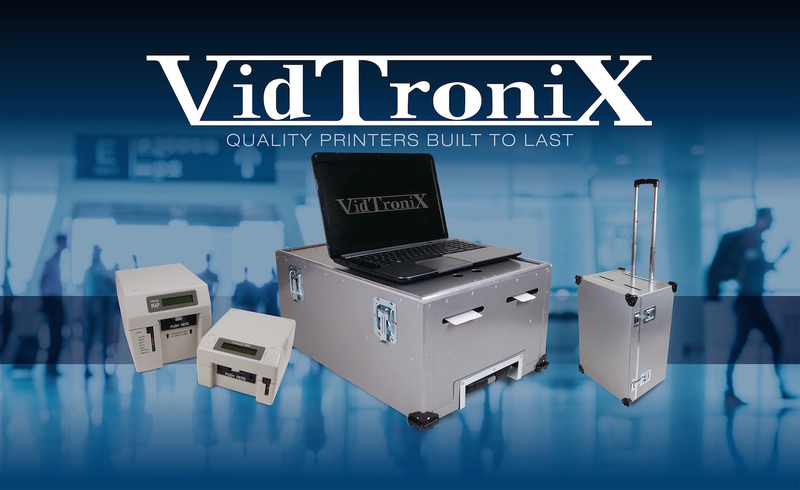 In addition to being a leading manufacturer and supplier of boarding pass and baggage tag printers for the aviation and travel industry, VidTroniX offers a full line of check-in and security related products. The goal of VidTroniX is to work directly with our customers to develop products that fit the needs of their company. To date VidTroniX has installed over 75,000 ATP and MAP printers and has recently further expanded its presence in the global marketplace with major installations in the Middle East, mobile applications and incorporation into large scale kiosk applications. The VidTroniX ATP3 is a single path travel document printer that is able to accommodate either boarding pass or baggage tags by automatically adjusting between stock types without any agent intervention. The ATP3 is the fourth generation of the original machine and offers metal gearing, multiple interface types and with its minute size it can be easily positioned within most existing cabinet space. The VidTroniX MAP is a three path travel document printer that prints on two boarding pass stocks and one baggage tag stock in succession using a single printhead. Given the small size of the MAP printer and its ability to print on three separate stocks it is able to take up much less space than the three printers it essentially replaces.